Originally released in 2008, NUb Cigars immediately caught the attention of cigar smokers nationwide, attracting both new and seasoned smokers for its unusual size. With a short and fat build, NUb cigars aim to capture the 'sweet spot' of a traditional cigar, making for a short smoke that's nothing but enjoyable! 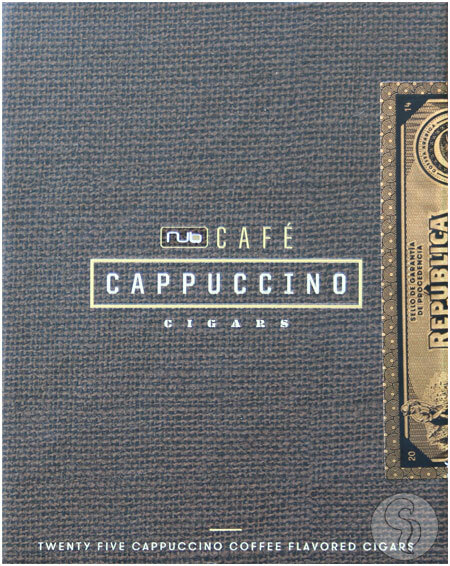 Now, NUb cigars has introduced a new cigar series - NUb CafÃ©, stepping out of their comfort zone with new sizes and infused coffee flavors! Few can debate the impeccable pairing of a morning cigar with a hot cup of coffee, the NUb CafÃ© intends to take this experience to a whole new level. Macchiato, Cappuccino, and Espresso are the first three cigars in the series, blended to pair perfectly with their liquid counterparts'even a traditional cup of joe will see improvement when paired with a NUb CafÃ© cigar! Macchiato is smooth and milk chocolatey, Cappuccino shows notes of vanilla bean and cedar, and Espresso is dark and bold, with dark cocoa flavors. Your morning routine just got a double shot of flavor intensity!